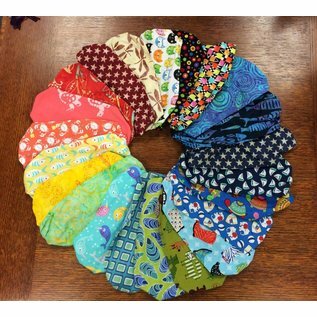 Adorable bandanas made by an amazing entrepreneurial young lady. Created by Anna's Bandanas in New Hampshire. "When I was six years old, I wanted to grow my bangs out. 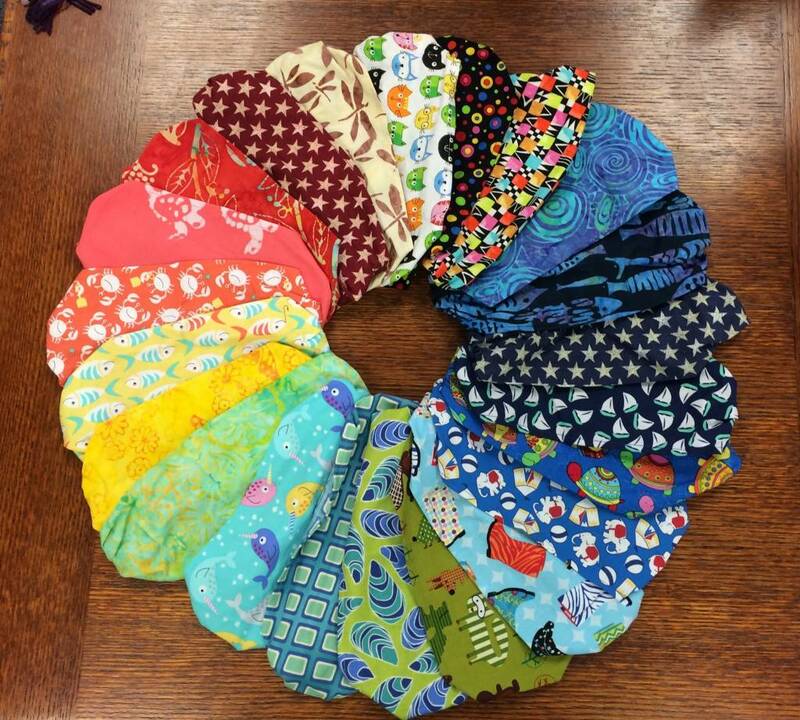 My Mom and I picked out some fabrics from a quilting scrap bag and before we knew it we had made 144 bandanas! Mom suggested we attend a craft fair and we did very well! Over 3,000 bandanas later and a trip around the Atlantic Ocean on my Family’s sailboat; we have settled down in New Hampshire. I am still making and selling bandanas and we now make pillows too. On our sailing trip, we came across an island in the Bahamas where they hand-batik great brightly-colored cotton fabric. It is called Androsian because it comes from the island of Andros. We love it!"